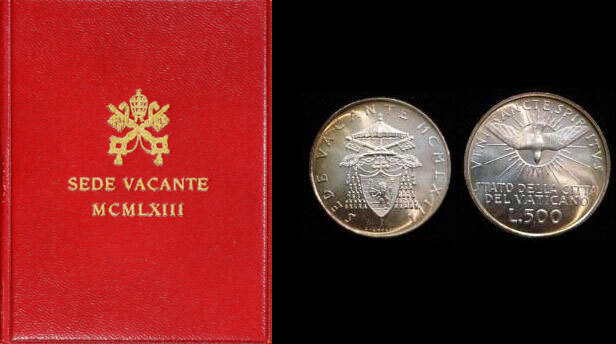 1963 Vatican City 500 Lire Sede Vacante silver, Brilliant Uncirculated condition in original folder. Issued after the death of John XXIII and before the election of Paul VI. By Pietro Giampaoli.